Today it's my pleasure to introduce Tamara and her line of fabulous hand-painted scarves - the Baydian Collection. Tell us About Yourself, Who is Tamara? 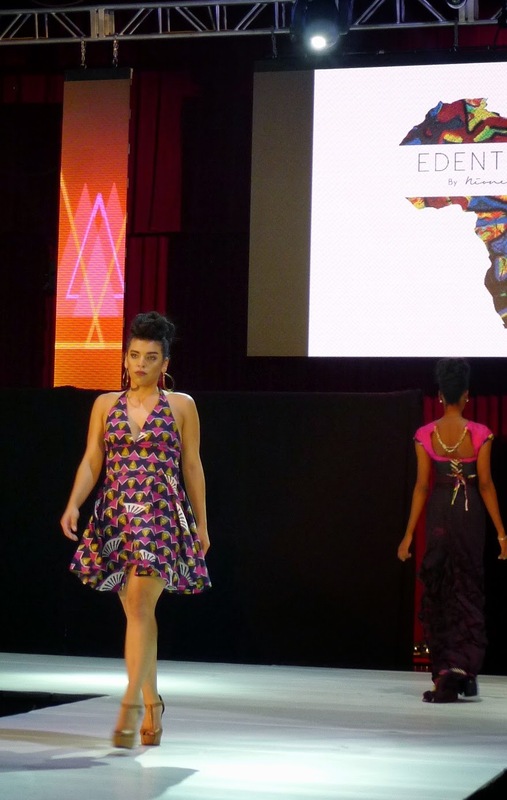 My name is Tamara Holder and I am the sole owner and designer of Baydian. I'm 23 years old and from the beautiful island of Barbados. 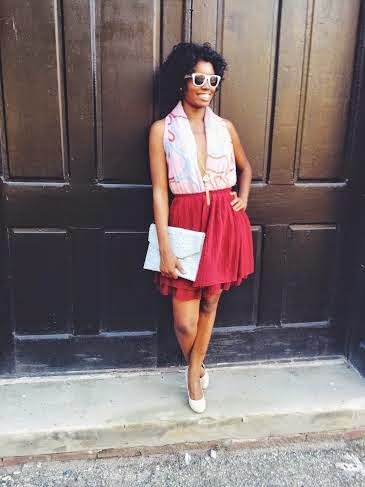 In addition to running Baydian , I am also pursuing my MBA and I work as a Graduate Assistant at a local university in Circleville, OH.Recently, I began the Baydian Girl blog to share how I wear my scarves on the everyday runway. 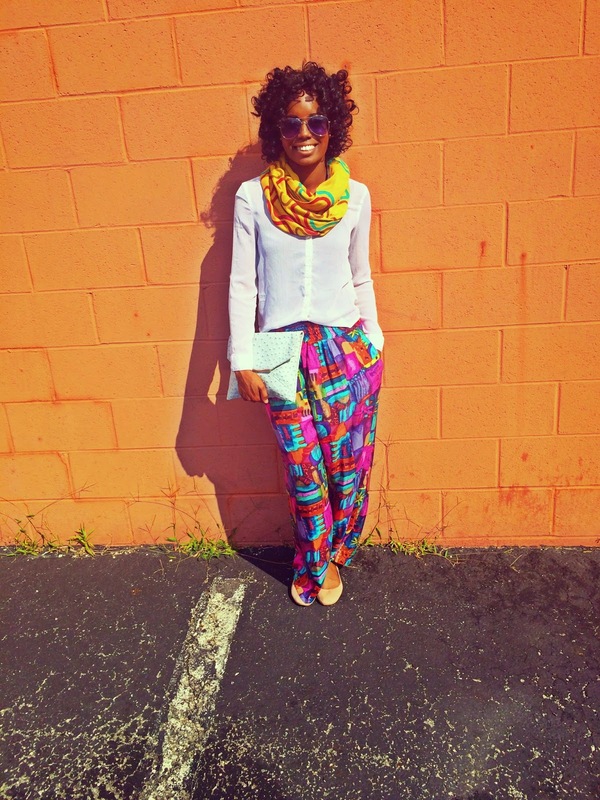 The goal behind the blog is to help others increase the versatility of their wardrobe with Baydian scarves. 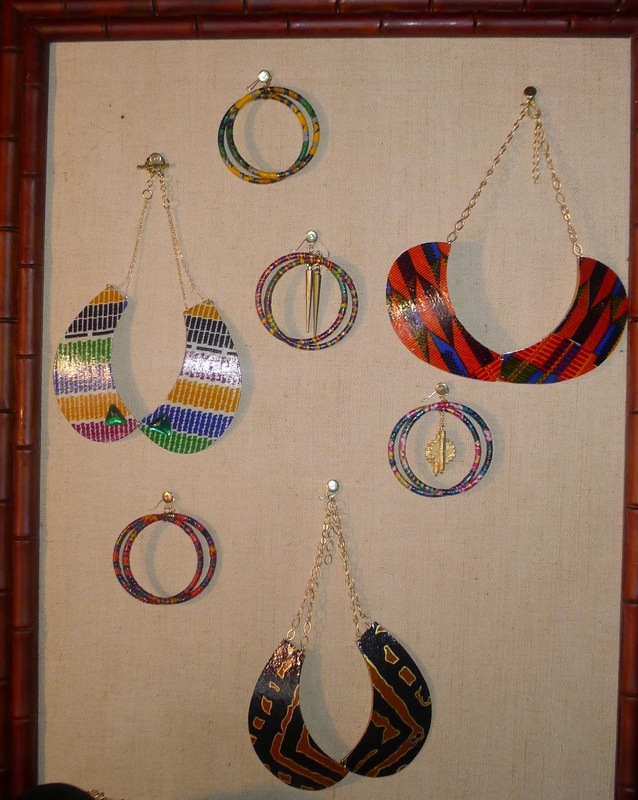 The idea is that everyone is unable to buy numerous statement pieces, especially if they're on a tight budget. However, if you have 2 or 3 statement pieces, you can increase the versatility of your wardrobe and I think adding scarves to your wardrobe is the perfect way to do that! 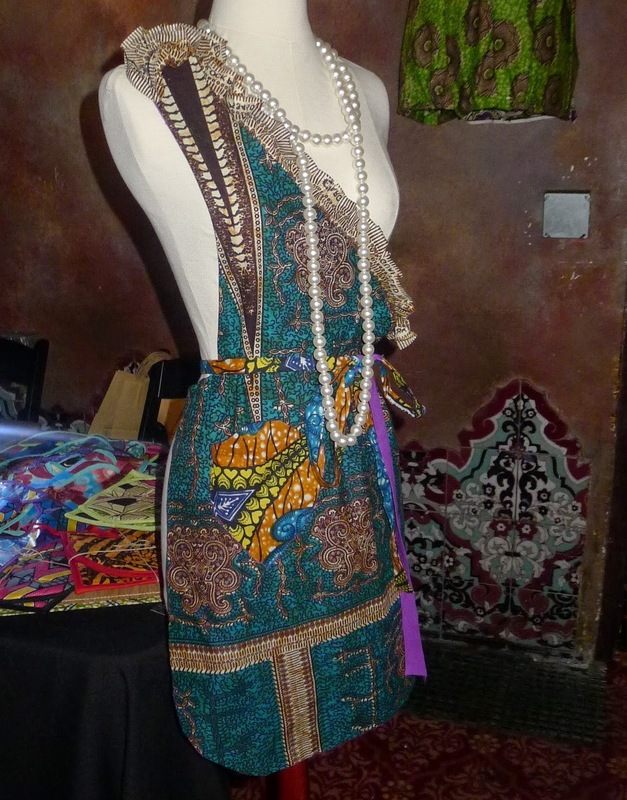 It's a fashion company that I began in January 2014 that specializes in hand-painted scarves that add color and style to our clients' wardrobes. 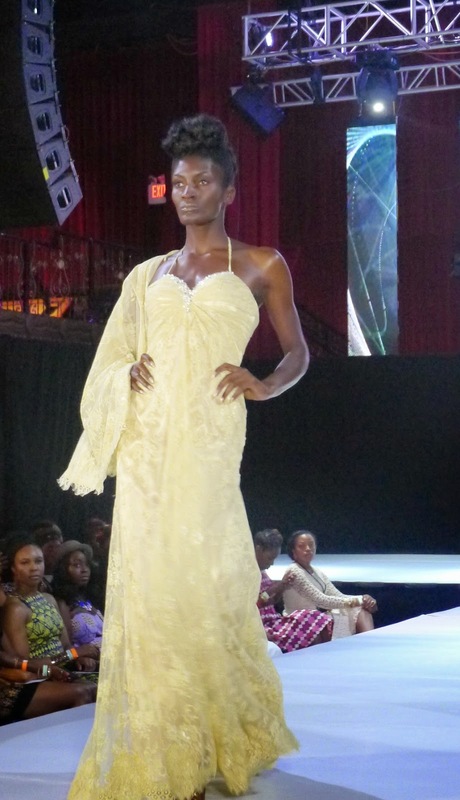 Its inspired by my Caribbean heritage but the products are statements since each scarf has a story. You can see each story in our lookbook here: http://www.baydiancollection.com/lookbook.html. What are some of your favorite trends/pieces that you'll be wearing this Fall? This Fall, I'm so excited to wear full midi skirts, leather bottoms (whether it's a skater skirt or a pair of leggings), combat boots (my absolute favorite shoe! ), pullover sweaters, hats (beanies and fedoras), and of course scarves! 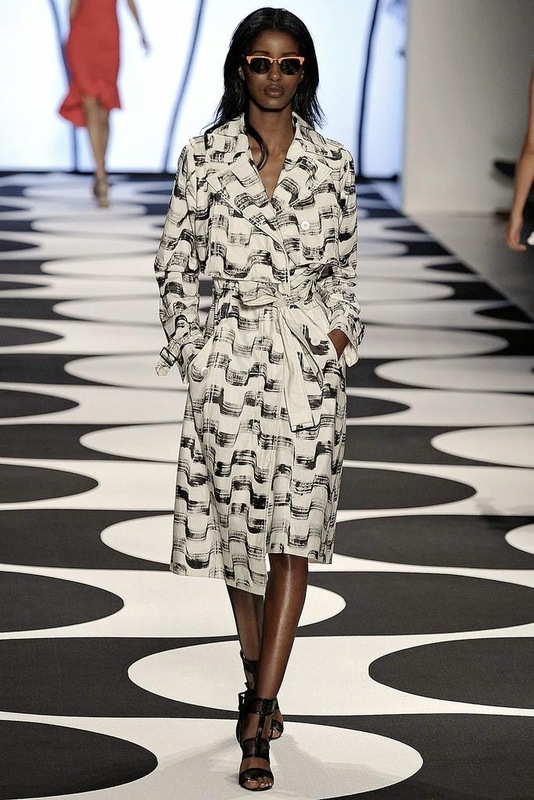 My favorite fall trend this season is the belted scarf made popular by Burberry during their Fall 2014 runway show! I get my fashion inspiration from Fashion magazines like InStyle, Vogue and Harper's Bazaar. 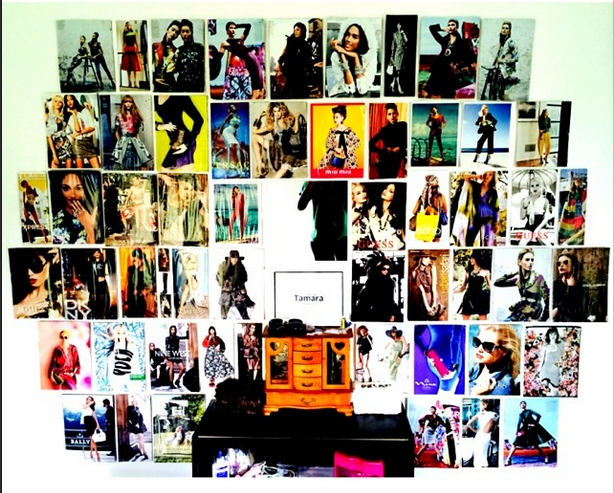 I also have a fashion inspiration wall in my bedroom that I see every morning I wake up (picture attached). Besides that, I frequent Pinterest and I'm mostly inspired by color combinations. Find out more about Tamara and the Baydian Collection HERE. Everyone knows Kerry Washington from her infamous role on the hit series Scandal. When Washington is not lighting up the big & small screen she is giving back in a major way. Recently she joined the Allstate Foundation purple purse program as an ambassador to help in the fight against domestic violence. "I realized the opportunity to work with Purple Purse by designing a bag that represents empowerment, encourages awareness, and aids in getting women the help they need, would be a tangible, concrete way to make a difference." Click here (http://news.instyle.com/2014/09/22/kerry-washington-purple-purse-fight-domestic-violence-women/) to read the rest of the article. It is always refreshing to see celebs taking time out to deal with real life issue that we all face. Domestic violence is a real issue and hundreds of women live in silence. 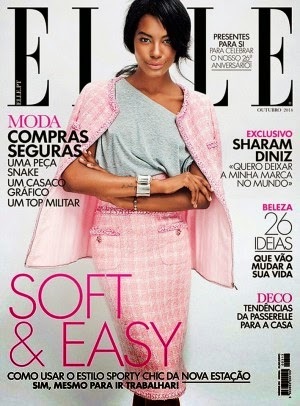 Kerry Washington FacesofBlackFashion salutes you!! Before moving to Los Angeles, my idea of a fun Saturday morning primarily meant meeting up for brunch with friends. Of course that's still fun, but I've added something else to the roster. Soon after settling into my new city, I fell in love with hiking, and I now look forward to Saturday morning hikes. Not only does it help me to clear my mind and sharpen my creativity (I think it's the adrenaline rush), it also helps me to meet my health and wellness goals. Since my first hike, I've challenged myself with increasingly difficult trails. It's always a treat when you reach the top of a trail and get to take in the breathtaking views of the city I now call home. Thanks to Walgreens that's not the only treat. Walgreens Balance Rewards program helps you to earn rewards while you shop. 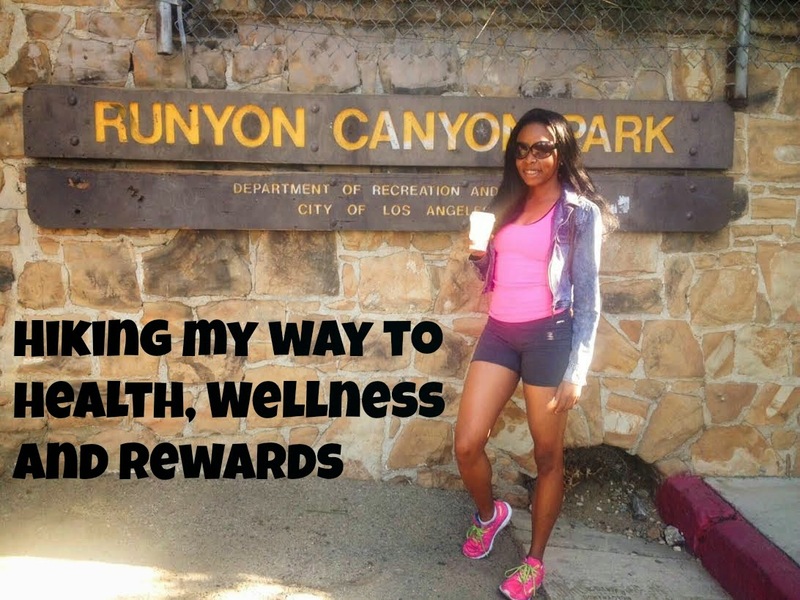 The healthy choices program rewards you for living a healthy life. 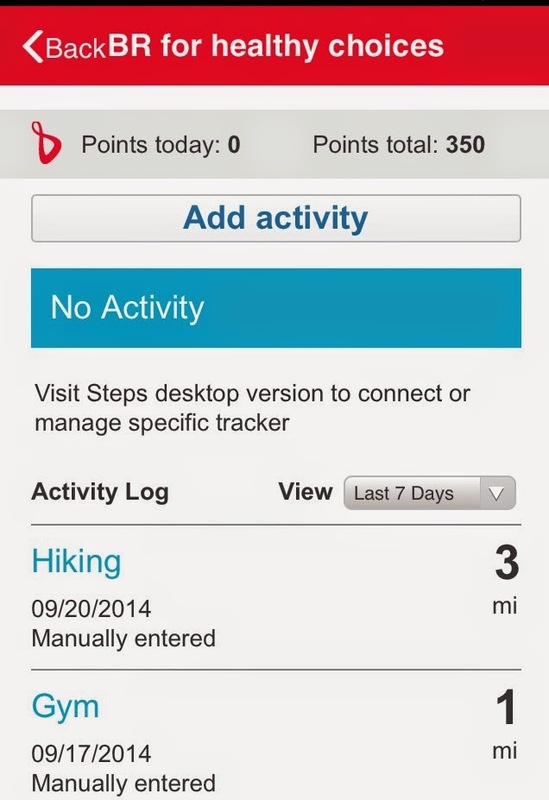 Through the program you can earn points by logging activities such as running, walking or going to the gym. You can also earn reward points for weigh-ins and blood pressure readings. You may even connect your fitness devices such as Fitbit to your account. It's really easy. All you have to do is register online or download the App to start tracking your progress. I usually log my progress on the go. It's a satisfying feeling to earn #BalanceRewards for making healthy choices. I am looking forward to redeeming my points for Walgreens gift cards in the future as I continue to engage in more fitness activities. So, tell us where do you live and how do you stay fit in your city? Today it's my pleasure to introduce the lovely, stylish and regal Shanay and her blog, The Brisk Life. Tell us about yourself and what you love most about blogging. Hey! My name is Shanay, and I am a college student-athlete currently living in Austin, Texas. Aside from blogging and school, most of my days are spent working out at the track. The past 4 years I was on the track & field team at the University of Texas where I competed in the high jump. I've been jumping since I was 10 years old and couldn't imagine my life any other way. I started blogging because I wanted a space where I could talk about anything that is important to me. Most people know how big track & field is in my life, but I wanted to share other passions of mine. I have always had a love and appreciation for fashion. I started The Brisk Life so that I could share all of my life interests with the world. 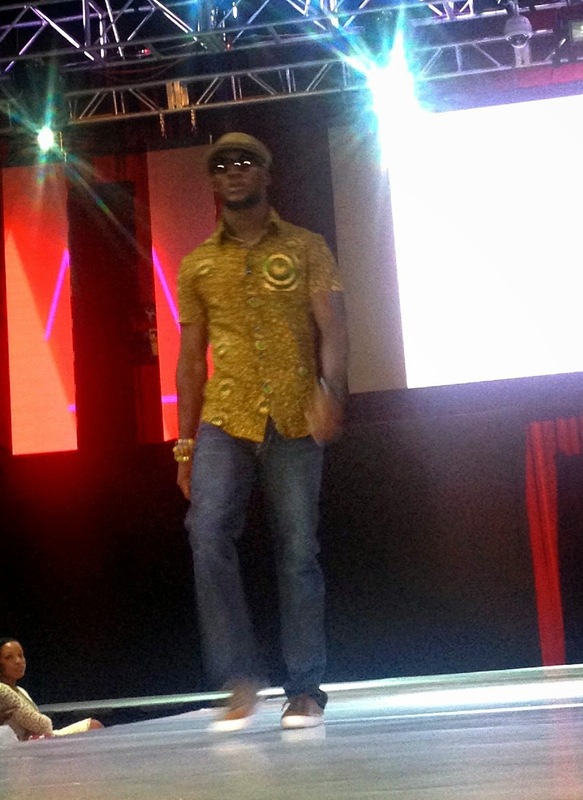 From track, to fashion, to travel, you will see it all on my blog. What I love the most about blogging is that I have the freedom to do what I want, when I want, and how I want. I can be as creative as I want, and I can add my own flavor to my little online space. Blogging for me is something that I love to do just like I love to high jump. I feel like I can just let go and be myself when I blog. I write my posts like I am talking to someone rather than writing a school paper because that's how I feel most comfortable. If I wake up one morning and want to talk about my struggles at practice yesterday, I can do that. If I want to get something off my chest, I can do that too. The blogging world has no boundaries and that is what makes it so exciting for me. I know what I put out there is strictly my decision and purely a representation of the real me. I am loving big hats for the fall. It took me a while to find the perfect one because my head is pretty large, but I finally found one in black that is quickly becoming one of my favorite pieces. Now, I am looking for a navy and tan hat to complete my collection. Big hats are so on trend right now and perfect for those days when I am too lazy to do my hair (most days) but still want to look put together. Also, I will forever be a fan of tights with a pleated skirt and heeled booties. I always get so excited for the cold weather because I love wearing this combo. It is my go-to outfit on those chilly nights when I want to dress up, but don't want to wear jeans. I get my inspiration from so many places. Pinterest, blogs, and magazines are the main ones, but I try to get inspired by what I see around me in my everyday life. Whether it's other girls in my classes, my friends, or just random people walking down the street, I love getting inspired by other people's style and putting my own twist on it. Thanks so much for asking me to do this! 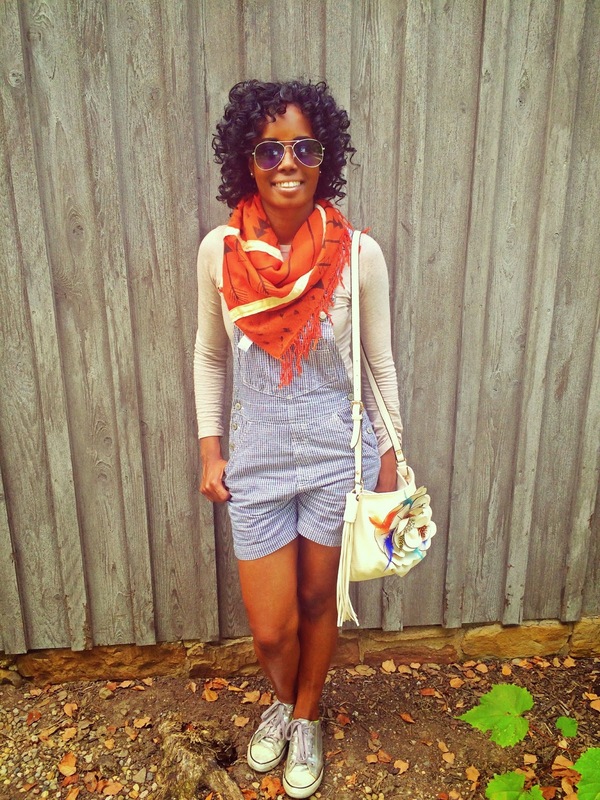 Check out more of Shanay's amazing style, HERE. Eve attends Ashish UK Fashion Show during London Fashion Week. She looks fabulous! 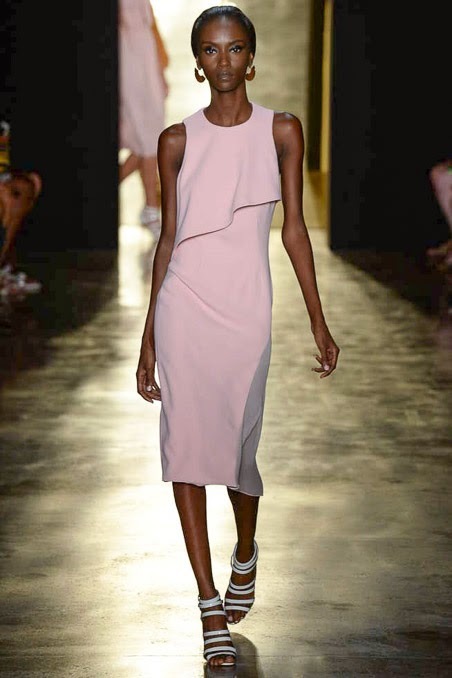 The Ashish Spring 2015 collection featured an all black cast of beautiful models and lots of sequins. See a clip from the show here. It's been 15 months since I started my fitness journey. Fifteen months of going to the gym consistently. Through this journey, I've stumbled a few times, attempting to figure out what worked and what didn't. Here are a few things I've figured out that keeps me consistent and disciplined with working out at the gym. 1. Go to the gym on Mondays or Tuesdays. I go to the gym three days a week. If I miss a Monday or Tuesday that means it's unlikely that I'll fulfill my three day goal. Completing at least one of my workout sessions at the beginning of the week makes it easier to finish two more later on in the week. 2. I get fitness inspiration on Instagram. There's nothing that gets you going than having a bunch of fitness inspiration in your social media feeds. On the days that I feel like slacking, all I need to do is browse through my Instagram feed for a reminder that skipping the gym won't get me closer to my fitness goals. 3. I go straight to the gym after work. Going home after a long work day often means that I won't leave. As a result, on my gym days, I go straight to the gym after work. This means that I get to settle into the comforts at home guilt-free after my evening workout. 4. I take progress pictures. Sometimes it can be difficult to see your progress by staring in the mirror at yourself everyday. Once a week or so, I take photos for a week-to-week look at my progress. Seeing progress (no matter how small) keeps me motivated to continue to live a healthy and fit lifestyle. 5. I challenge myself. My workouts largely consist of weight training. I started out squatting a 30 pound dumbbell, now I'm squatting 140 pounds on the Smith Machine. Every few weeks I challenge myself by increasing the amount that I lift. Here's to getting stronger and healthier! 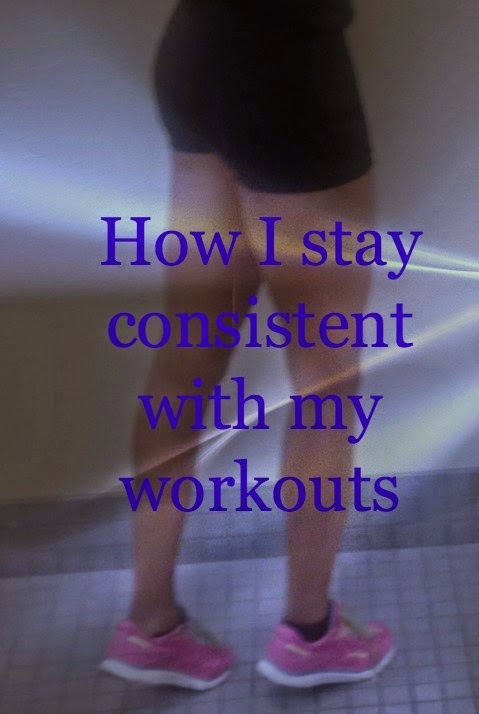 How do you stay consistent with your workouts? 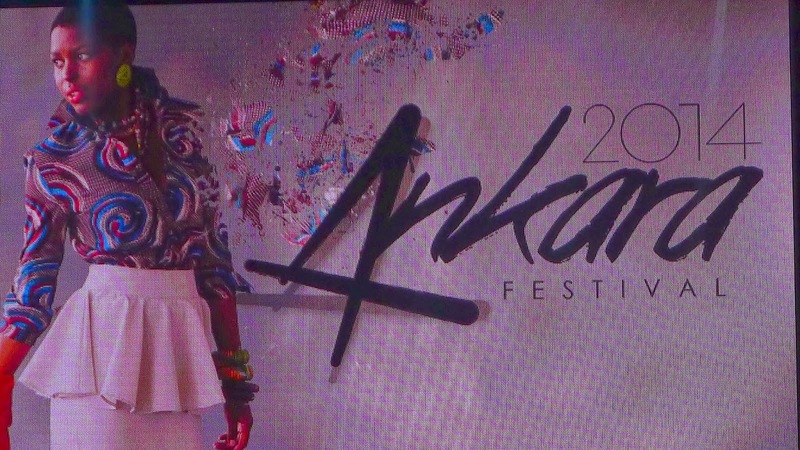 If you follow me on Instagram, you would have seen my live updates from Ankara Fest this past weekend. 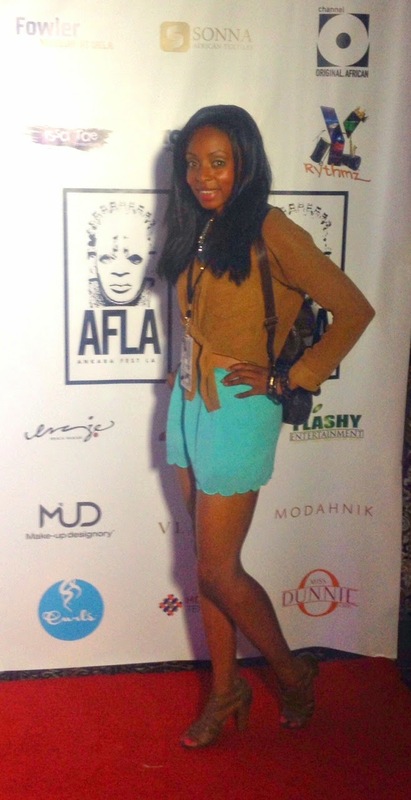 I had the amazing opportunity to cover Ankara Fest LA last Saturday. 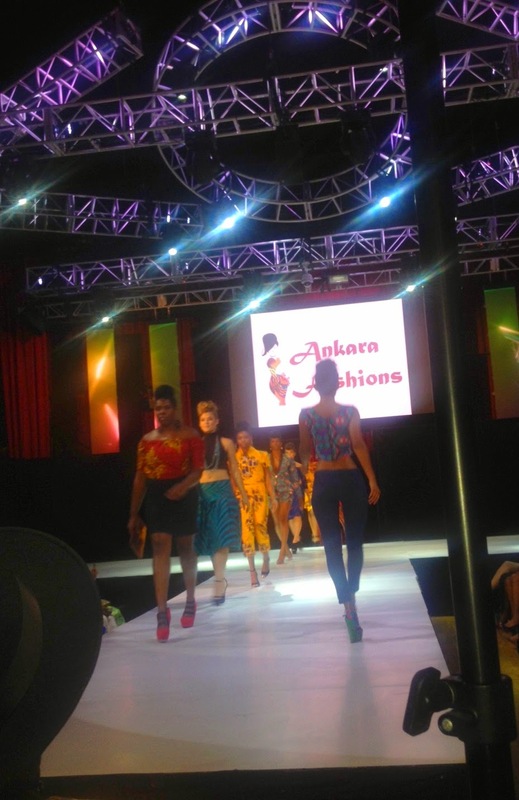 As one of the largest Ankara festivals on the West Coast, Ankara Fest highlights the work of young African designers and/or African designs in the United States. 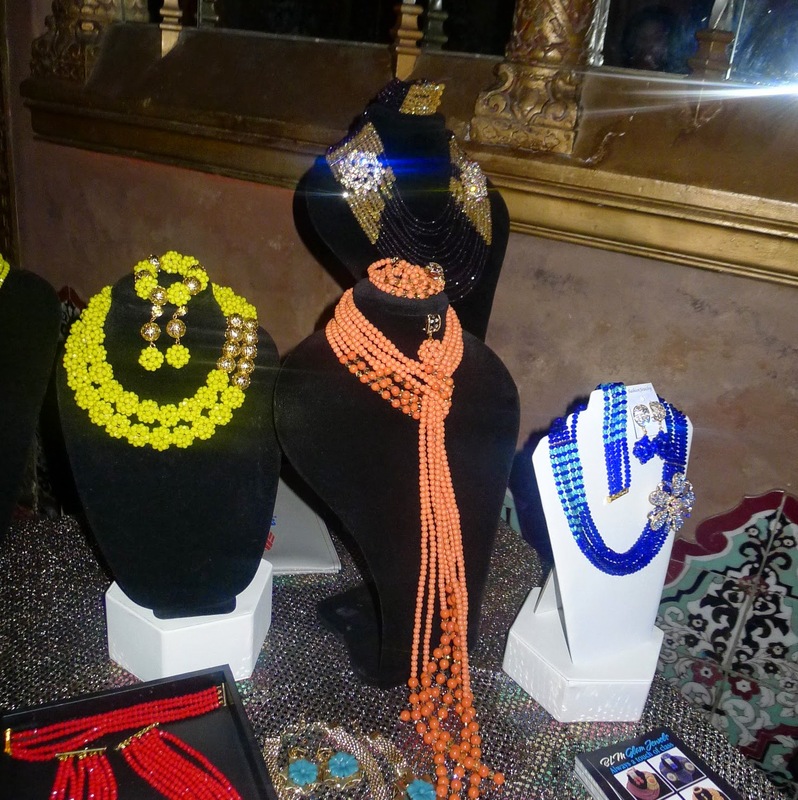 Held at the Belasco Theatre in Downtown Los Angeles, the Fashion Show was the highlight of the event, but before the show, attendees had the opportunity to walk the red carpet and look/shop for African inspired jewelry, clothing and accessories from event vendors. 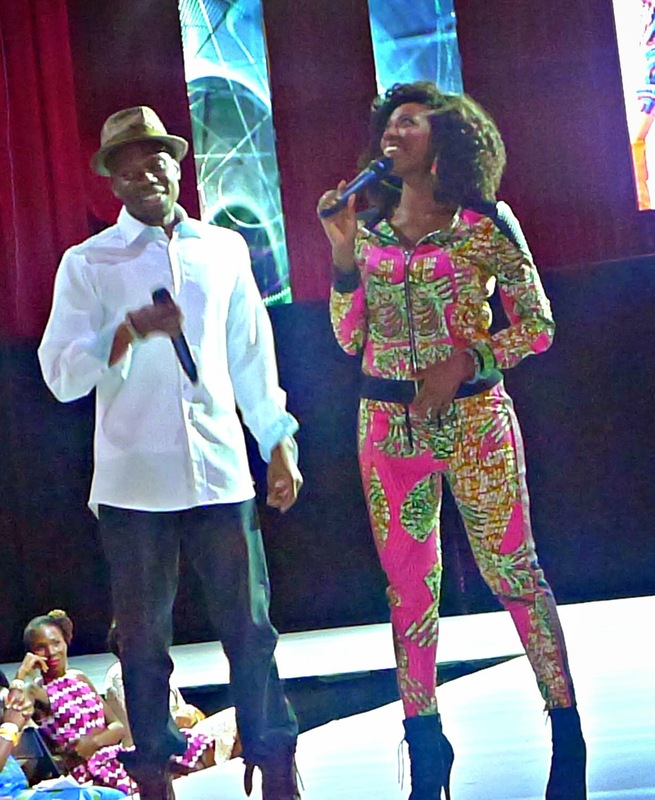 Actor Duain Richmond (who's in the next Drumline movie) and Actress and Comedian Yvonne Orji did an excellent job hosting the show. They had great chemistry and were both hilarious. I laughed until I (almost) cried at the the Nigerian mother jokes. 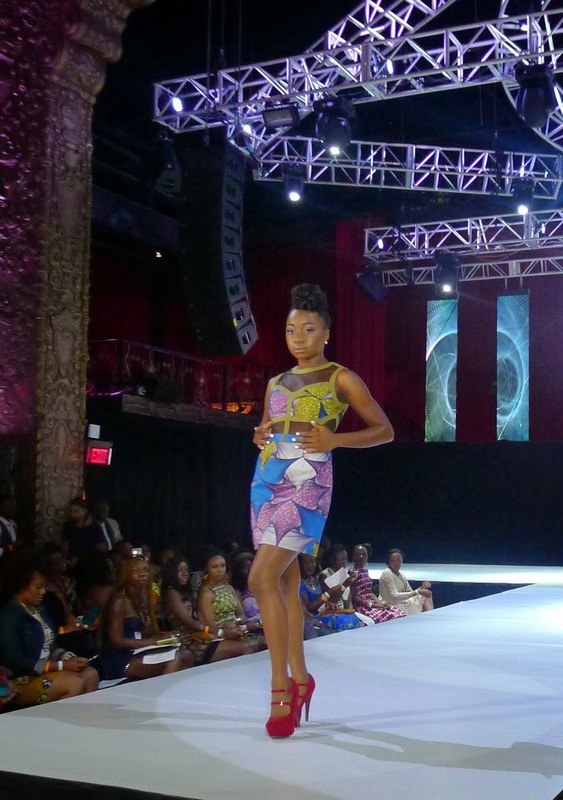 The show featured a number of Ankara and African Inspired designs by talented designers throughout the United States, dance and song performances and a highlight of the Red Pump Project, a non-profit organization that highlights HIV/AIDS awareness among women and girls. 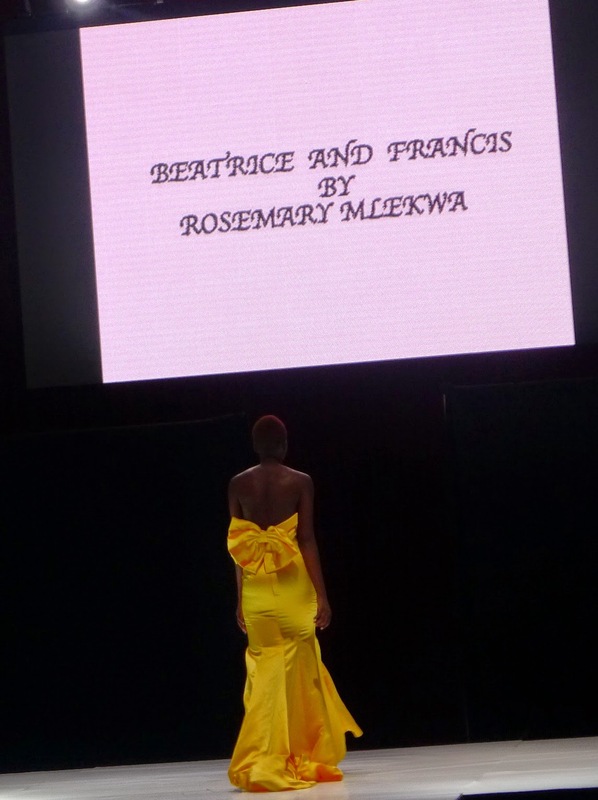 To my delight, the show flowed seamlessly, and the pieces on the runway reflected sheer talent and creativity, there were a number of times where I thought "I want that piece for my closet." I had a wonderful time!!! Visit my Facebook Page for more photos from the event.